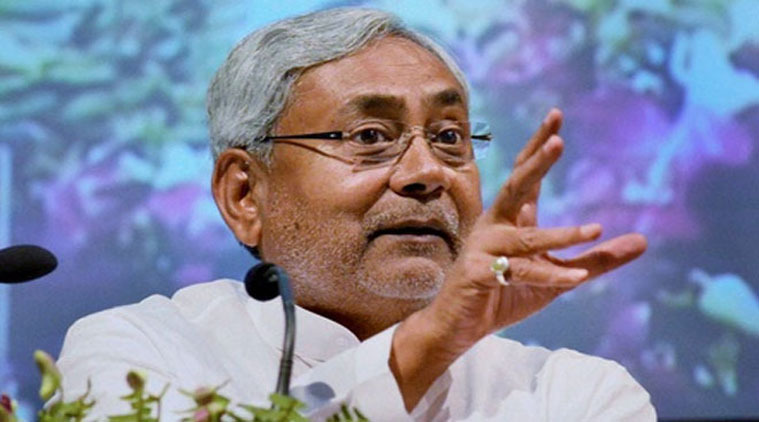 Nitish Kumar will take oath as the Chief Minister of Bihar today at 10.00 am. Hours after he announced his resignation, reports claimed that he will take oath as the Chief Minister under the new alliance of Janata Dal-United (JDU) and Bharatiya Janata Party (BJP) on Thursday. Notably, this is the sixth time that Nitish Kumar will be taking oath as the Chief Minister of Bihar. Members of the JD(U) and Bihar unit of the BJP met at the residence of Nitish Kumar and discussed the future course of action for the newly formed alliance. BJP leaders, Sushil Modi and Nityanand Rai among others reached the residence of Kumar in Patna. As per latest reports, BJP’s Anil Jain will visit Patna on Thursday with JP Nadda. Noteworthy that while Kumar is expected to take oath on Thursday, ANI on the night of Wednesday reported that Governor KN Tripathi has been admitted to Indira Gandhi Institute of Medical Sciences in Patna, due to an ENT problem. Later on Wednesday, Governor Tripathi was discharged from the hospital and reached Raj Bhawan, hence ending any speculations of delay in the oath taking of Nitish Kumar. Speculations are also being made about the profile of the Deputy Chief Minister, which reportedly will be taken over by Sushil Modi. No official confirmation regarding the same has been reported. The support which the BJP has shown to Nitish Kumar and his party is in line with its earlier claims when the BJP declared that if JD(U) splits from the alliance with Rashtriya Janata Dal, it will have full support of the BJP. Nitish Kumar on Wednesday announced his resignation following the row over CBI charges on Deputy CM Tejashwi Yadav. These charges led to the rift between the JD(U) and the RJD and with this ended the Grand Alliance in Bihar.